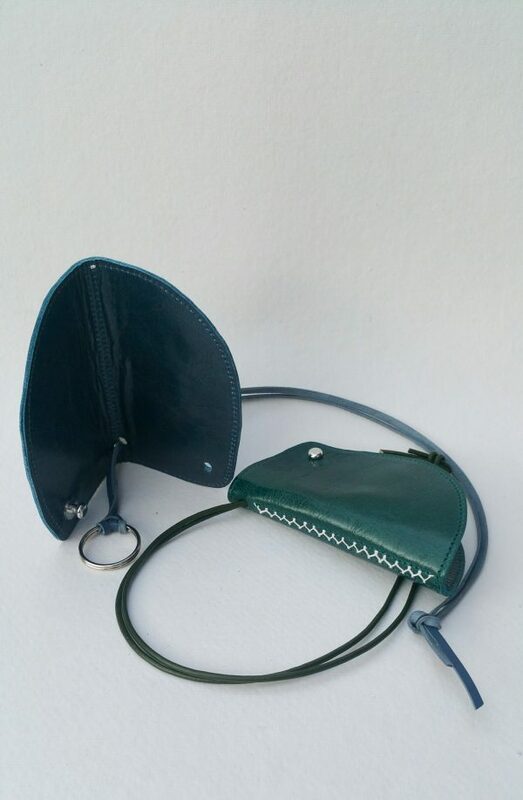 These Key holders can be used for singular keys or a small bunch. 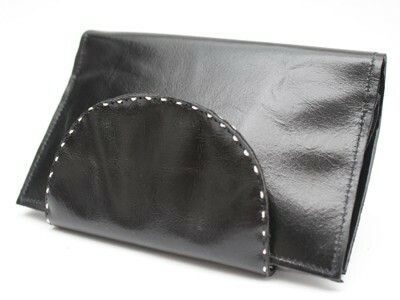 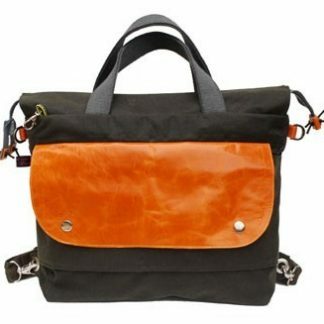 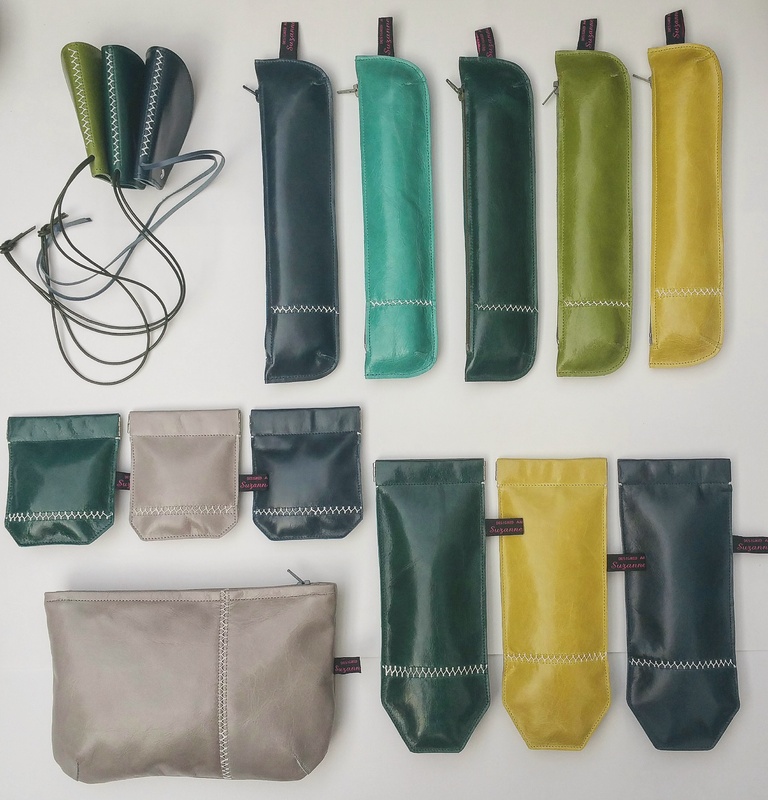 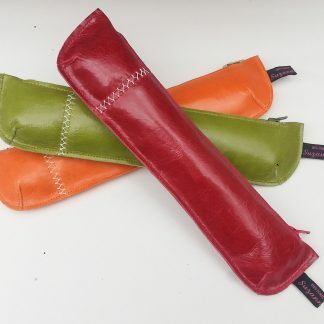 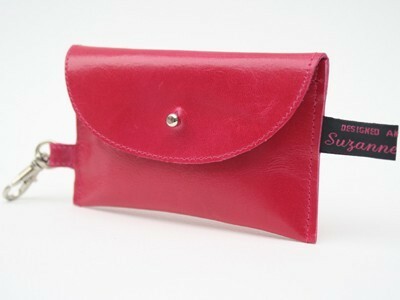 They are made from cow hide leather and the keys are fastened into the fold of leather using a stud. 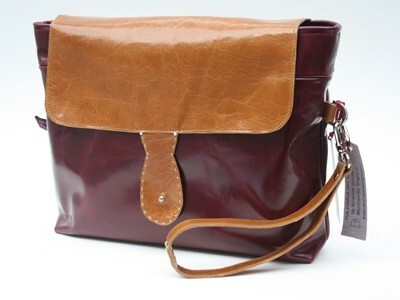 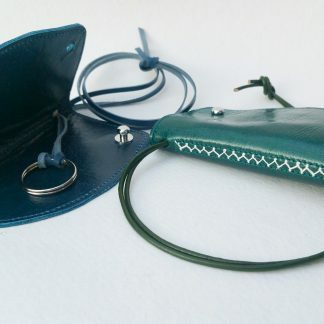 The idea is to protect the inside of a bag or pocket from being damaged by keys. 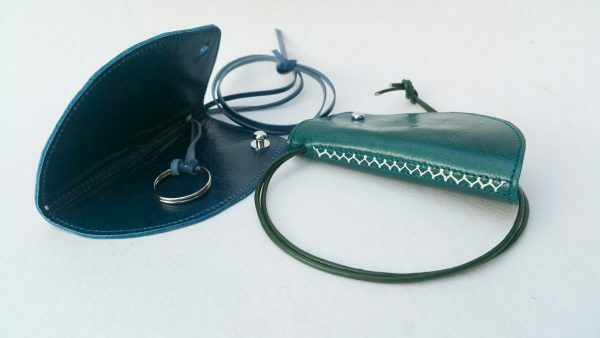 There is a leather cord attached to the top of the case to carry them or hang them up and the holder is finished off with a handstitch design down the spine.